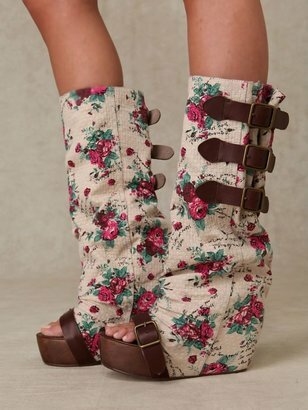 If these Floral Slouch Clog Boots don’t scream spring I don’t know what else would! Add a perfect boho touch to your spring boots wardrobe – over leggings, with shorts, or a flowy dress would be perfect with these. The belt straps and chunkiness really chic-ifys your look creating an eclectic outfit.